On Monday 4th December 2017 6.55 pm we experienced “living on a knife’s edge” first hand. 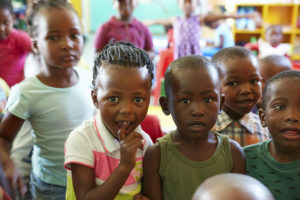 We have been working in Mfuleni township for 8 years and have always felt safe and welcome. All this changed in the glint of knife’s blade. We had arranged to meet the community chairman at one of our schools to discuss community involvement in our upcoming project to build a new classroom, upgrade the educare and provide a wonderful playground to change the lives of 80 children and give them a Starting Chance. We arrived early and met the principal of the school who assured us he was coming. So we stood chatting outside next to our cars as we waited. It was a tranquil scene – pigs grunting in the filthy canal, children playing and running up and down the street, families returning from work and chilling with their neighbours. The minutes passed, the sun was beginning to fade and we were a little frustrated that we were working on “Africa” time but again the Principal assured us the chairman was on his way. I got cold and went to sit in the car and noticed 3 young men – aged about 20, making their way towards the car. I thought nothing of it. We are often stopped by community people wanting to chat. It was then I noticed the glint. My door was slightly ajar and I saw Ian’s face change as one of the men stretched across me with his knife aimed at my wrist and took my cell phone which was between the seats. There was a scuffle as he tried to edge his way into the car but he turned slightly and I took my chance and slammed the door and locked it. I was then filled with dread as Ian was outside the car at their mercy and so was Kissmea who contracts for us. I felt completely helpless and hopeless. Time seemed to stop. The youths held Ian at knife point and Kissmea saw a gun. They took the phones and wallets and ran for the canal. No one from the community came to help us. They were too frightened. We jumped in our cars and sped off down the streets to get out of Mfuleni to notify the police and stop our credit cards and black list our phones. The aftermath of this incident is what is really interesting though. The reactions of our nearest and dearest has been heart-warming and hugely supportive. The reaction of our township principals and friends has been extraordinary. They have prayed for our healing and apologised for the behaviour of a few but they have shown tremendous love and care. “Morning Ali & Ian, hope you are coping; just checking. Be healed my friends in Jesus name, Oh be healed,” Princess. As I start to ponder this question, I found myself in a state of quandary. Of course we are not alone – STATS SA recorded through SAP in 2015/2016 that 2.1 million serious crimes were recorded. There were over 623 223 contact crimes in 2016. “Living on a knife’s edge” in its many forms is an hourly occurrence for South Africans of all ages, races and cultures. Thousands have no recourse, no insurance, no support. So many have shared their stories and their bravery. But I think the statistics point to the real concern. 67,4% of youth younger than 25 in South Africa are unemployed. As I come to terms with our very scary experience, I come back to this thought: “Lives are changed when people connect. Life is changed when everything is connected.” Qualcomm motto. Proverbs 29 says: Fear of man will prove to be a snare but whoever trusts the Lord is kept safe.” Why did those young men attack us but not harm us? God’s protection. They are desperate and who wouldn’t be? But we can change that. We forgive those young men. Through education we can offer opportunity for work and we can help to change the statistics that hamper our precious country. 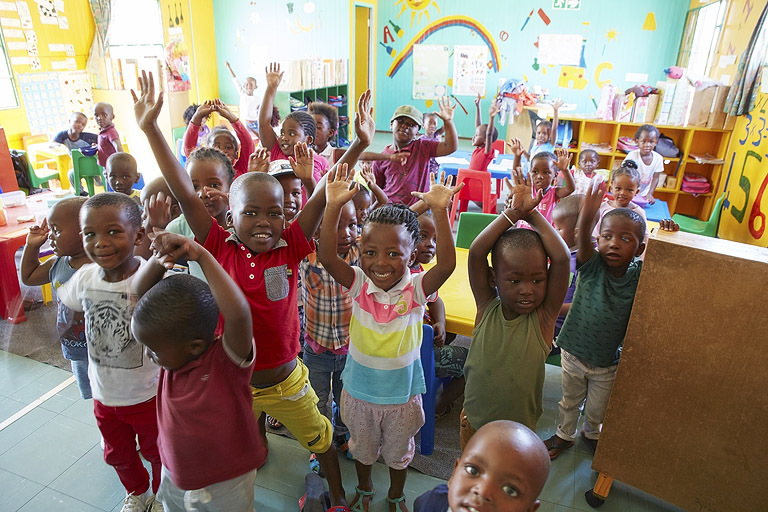 So the real question is not will we continue to work in Mfuleni but will YOU help us to continue to give children a Starting Chance for a better start for a better future? so grateful that you are all ok.